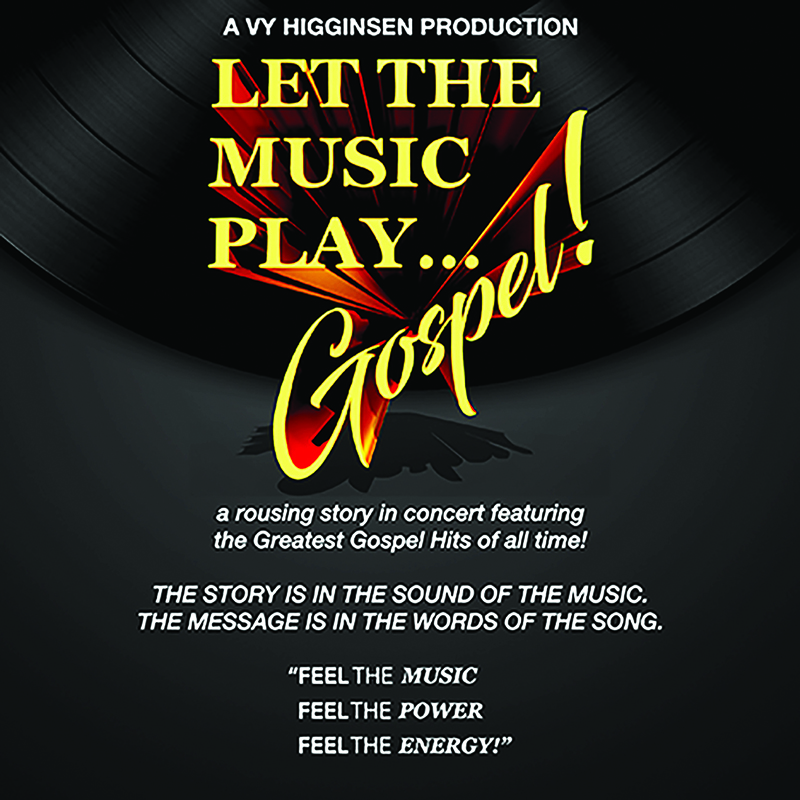 Vy Higginsen, the first woman in NY prime time radio, returns to the stage in the new musical Let The Music Play... Gospel! Black PR Wire -The Mama Foundation for the Arts proudly announces the brand new production of their acclaimed musical, Let the Music Play... Gospel! From the creators of Mama, I Want To Sing! – the worldwide musical sensation – Let the Music Play... Gospel! is a musical celebration of a generation, featuring an intergenerational company of performers comprised of both younger and older adults; at The Dempsey Theater in Harlem (127 West 127th Street, between Lenox and Seventh Avenues). After a long running hit engagement in 1988, the joyous concert musical returns 30 years later, for an energized remounting; performances begin on April 7, 2018. Let the Music Play... Gospel! features Vy Higginsen returning to the stage with fellow cast members Deborah Bingham, Matthew Brown, Matthew Burke, Renee Connell, Carlton Ellen, Jessica Lyric Harp, Ahmaya Knoelle Higginson, Elijah Ahmad Lewis, Gladys Mitchell, Kamal Morales, Jalana Potts, Kiara Ray, Michael Reid, Roberta Ross, and Chloe Thompson; with musicians Andre Cleghorn, Edward Cleghorn, Jr, David McKoy, and music director Kevin McKoy; lighting design by Earl Dolphy, and sound design by Don Juan Holder. Proceeds from the production benefit The Mama Foundation for the Arts, a cultural space in Harlem with a mission to present, preserve and promote the history and fundamentals of gospel, jazz, and rhythm & blues music for current and future generations, as well as to provide quality training and employment in the performing arts to both youths and adults. A non-profit 501(c)3, The Mama Foundation for the Arts was founded in 1998 by Vy Higginsen, inspired by her musical Mama, I Want To Sing! Through the Foundation’s School of Gospel, Jazz and R&B and its Gospel for Teens program, instruction in these musical art forms has been offered to young people between the ages of 11 and 19 at no cost since 2006. The Gospel for Teens program has serviced hundreds of students in the past seven years, providing desperately needed support to musically gifted children and replacing arts programs taken out of many inner city schools. Let the Music Play... Gospel! will perform Saturday afternoons from April 7th through to May 19th at 2:00 p.m. Tickets are available by calling The Mama Foundation for the Arts at (212) 280-1045 or through OvationTix at Mamafoundation.org. Tickets are $35 - $50 for general admission. Special rates for seniors age 62 or over; and groups of 10 or more are also available when calling the box office. For more information, please visit www.mamafoundation.org.